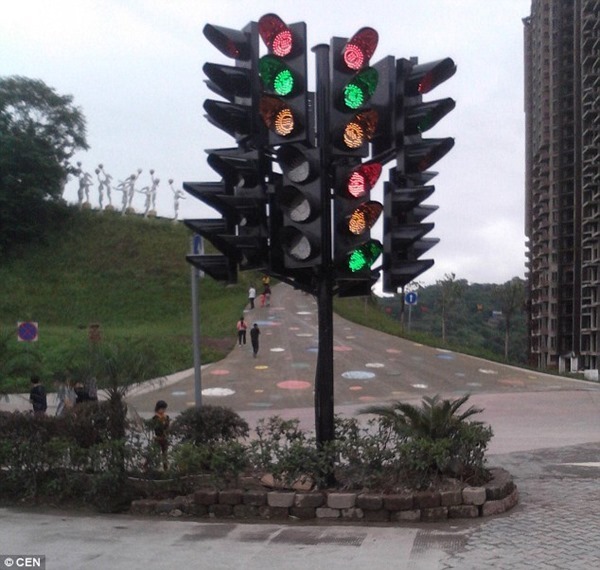 In Chongqing China, the world’s “most confusing traffic lights” have been baffling tourists and journalists alike. 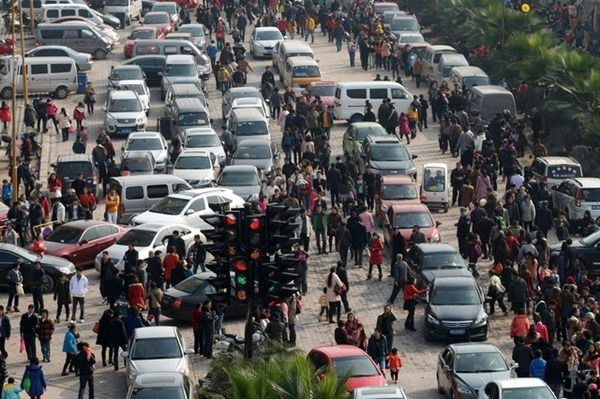 Motorists in China have been left bemused by this traffic signalling system, where officials installed over 20 sets of lights on a single pole at a crossroad. The baffling traffic light junction was spotted at a set of crossroads in Chongqing City in China, and looks too confusing for even the most experienced driver. Those approaching the lights could be forgiven for thinking they were nearing the world’s most complicated junction. 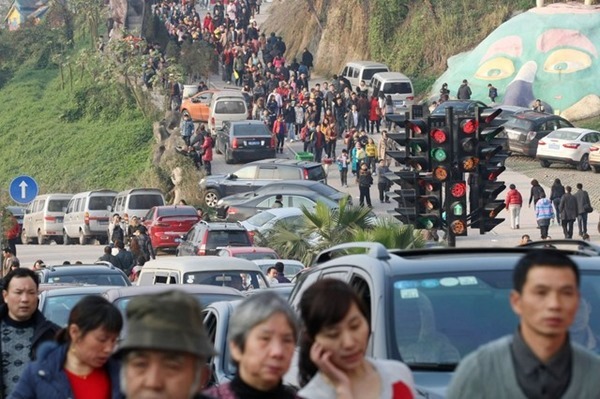 As if braving Spring Festival travel crowds and probing questions from nosy relatives wasn’t enough, over ten thousand tourists at a Chongqing park last Sunday found themselves having to navigate a four-way intersection with 14 traffic lights, each flashing different signals. Authorities have explained, however, that the lights should be ignored – because they were only installed for decorative purposes and do not direct drivers. A quick glance at the photos of these traffic signals and their proximity to the road should make it apparent that these are not real traffic signals. But perhaps they could have placed this “art installation” a bit further away from the road.